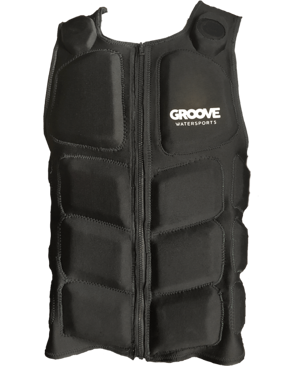 The first Groove Vest was made by turning an old impact vest inside out, removing the flotation in the chest, and placing waterproof speakers to the inside of the vest. It worked great, but it was bulky, uncomfortable and looked funky. Our first custom vest was Prototype Version 2 (V2), made of 1.5mm neoprene, stiff closed cell foam, and 3D printed enclosures around a set of two 20mm pre-waterproofed tweeter speakers. We learned that the vest was restrictive, the design was unappealing, and the side entry zipper was more of a problem than a solution. The audio quality was poor, but conceptually, it worked. Prototype V3 had upgraded audio integrated inside a more comfortable vest. We moved to a larger set of two 40mm mid-range speaker drivers powered by off the shelf electronics. We were able to rapidly prototype by 3D printing waterproof speaker enclosures. We worked with the University of Nebraska Textiles Merchandising and Fashion Design department to create a special project for their undergrad students. Prototype Vest V4, V5, and V6 were designed and developed in class. Although we did not end up with a winning design, we found someone to help us take our vest to the next level. The vest you see today is Prototype V7. Our goal was to create a vest that competes with the top impact vests on the market. Through stretch & material composition testing, we were able to find the materials we needed to achieve this goal. At this point, we were still using off the shelf electronics, but we started working on developing custom electronics that would be ready for mass production. The final two issues we needed to solve was the problem of requiring your phone on the vest and losing connection every time the vest went underwater. We are solving this issue by developing a device that supports mp3 files. 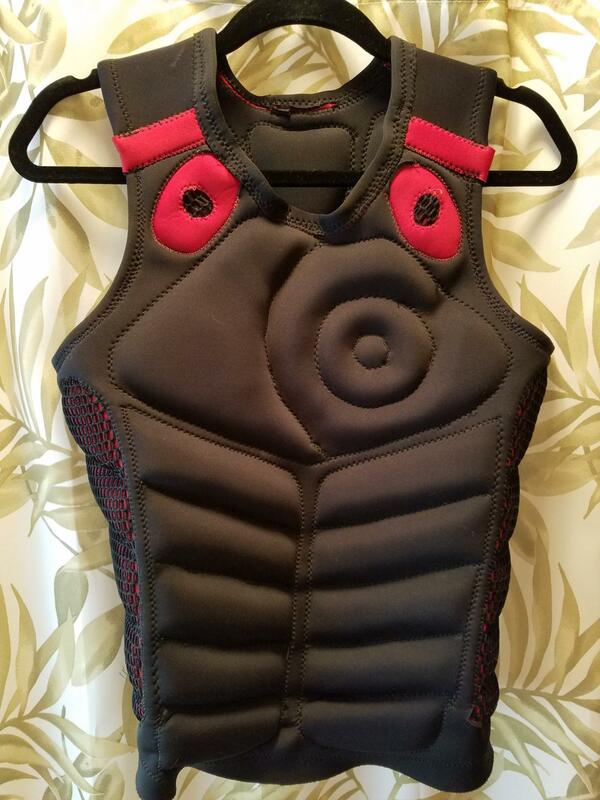 We knew the vest needed to become more user friendly which lead us to move the buttons from the back on the vest, to the front of the vest right at your fingertips. We are on pace to develop and finalize the design in time for a kickstarter campaign this summer. Our early backers will be able to receive a vest at a discount before the end of the summer. If you would like a chance at winning a free Groove Vest, enter the giveaway and invite some friends. This helps us spread the word, and gives you a chance rocking one of the first vests off the production line! Everyone that joins the giveaway will be updated on our progress and have the first chance to buy the Groove Vest at a discount.